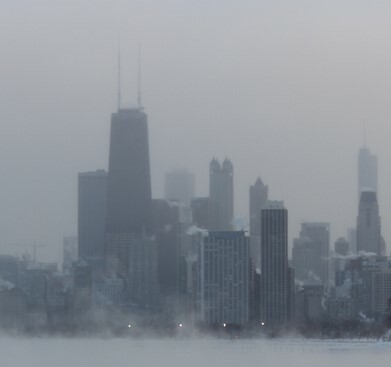 Because of a shift in the polar vortex, a good chunk of America is currently experiencing exceptionally cold weather, and frigid temperatures. (Last time it was really cold, I wrote about why pipes freeze and split the way they do). 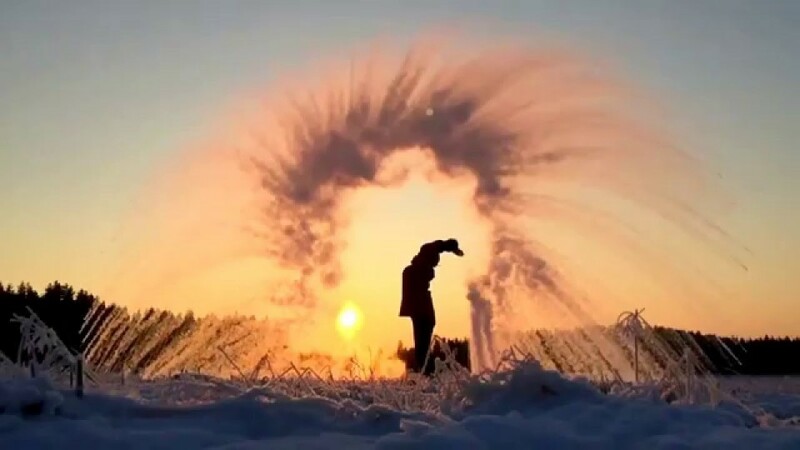 One of the ways that the media attempts to demonstrate just how cold it is, is to take a cup of boiling water, throw it outside, and watch it turn, almost instantly, into a cloud of mist. This is bogus science. This is not what is happening. (I’ll explain what is really happening a little bit below). How do aircraft fly? You’ve probably been taught that wings are curved so that their top surface is ‘longer’ than their bottom surface. In this way, the air traveling over the top of the wing has to travel further, and thus faster. In accordance with Bernoulli’s principle, this faster moving air has lower pressure. This difference in pressure causes lift. This simplification is mostly correct, but it can’t tell the whole story. A simple thought experiment shows that it can’t be the complete explanation: After all. if this is all that is happening, how can an aircraft fly upside down? When teaching children about atoms, when they are very young, they are probably taught the ‘plum pudding model’. In a plum pudding model the atom is a spherical, positively charged, cake into which are inserted electron pieces of fruit to balance out the charge. You might have even seen these plumb puddings connected to others with sticks (bonds), to make molecules. Next children are taught that an atom looks like a miniature solar system with a ‘Sun’ nucleus, and the electrons spinning around in orbits (rings) like ‘Planets’. For many, this is a far as they get. If you study physics further, and quantum mechanics, the current explanation is that an atom comprises a dense nucleus surrounded by a probabilistic ‘cloud’ of electrons, in which the electrons can be anywhere and everywhere at the same time, but describable by a probability density function. All of these are simplifications, or models, are good faith attempts to explain complicated things by ignoring harder to explain things. I’m OK with this. When learning to play the piano, you master three blind mice, and Chopsticks, before leaning Liszt's La Campanella. Let’s state this out loud: It’s the far side of the moon, not the dark side of the moon. Any journalist that get’s this wrong is propagating a lie. 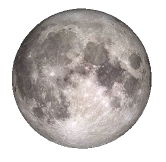 It’s true that the Moon is tidal locked with the Earth, and the same face is always pointing toward us, but that does not mean the ‘other’ side is dark and gets no sunlight. It does, in fact, receive just the same amount of Sunlight as the side we always see. 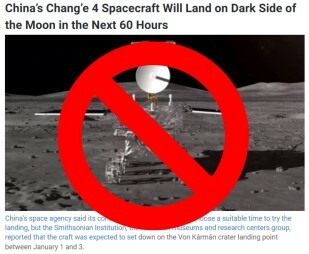 It does not take much internet research to find people have written bogus articles that describe the far side as being dark and getting no sunlight. This is not a simplification to help explain a complex thing, it’s just wrong. However, the most egregious example of phony science that I’ve encountered (and a pet peeve of mine), is the bogus experiment to ‘prove’ that air has mass. This one is so prolific that you’ll even find it in text books and on display at science museums. Again, stop the madness. 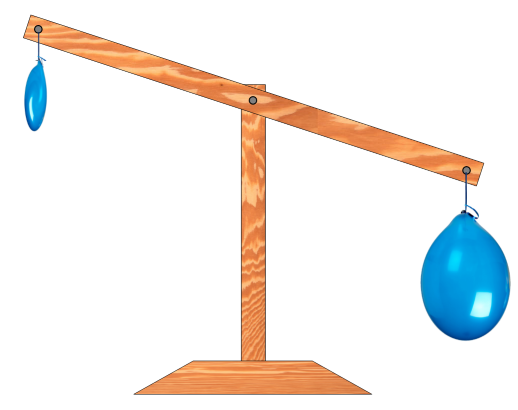 The ‘scientist’ displays a balance beam, on either side of which is an inflated balloon. The beam is totally level. With great pomp and ceremony, the scientist pops one of the balloons, and the balance beam dutifully tilts the opposite way. "Proof that air has mass" because the popped balloon is no longer holding air that has weight! This is totally bogus. That’s not what’s happening at all. Here’s a thought experiment to show how ridiculous this is: Instead of balloons, imagine repeating this experiment with two paper lunch bags. On one side put an inflated bag ‘holding air’, and on the other side, scrunch up the sack to make a ball. Guess what, they still weight the same, and the beam is balanced. Scrunching the paper lunch bag does not change its mass. So what’s happening, why does the beam go down with the balloons? The reason the beam goes down with the balloons is because of density. To inflate a balloon, you put air into the balloon under pressure. The tension from the rubber keeps things in equilibrium. The density of air inside an inflated balloon is higher than that outside; it contains more molecules of air than the same volume of air outside. The air inside has more mass for the same volume, and ‘weighs’ more. So, what’s happening when you throw bucket of boiling water outside into really cold air?1. Well, it’s not instantly freezing. Again, a thought experiment: If the air outside really is that cold, why does the water need to be boiling? If it’s really that cold, why doesn’t the same thing happen with a cup of water at room temperature? After all, a bucket of cold water has a ‘head start’ on getting to freezing faster than a bucket of boiling water, and if you think about it, for boiling water to ‘freeze’, it has to pass through the same temperature that the bucket of cold water was already at, so the hot water should take longer; it doesn’t make sense, hot water does not freeze faster than cold water2. 1Please be really, really, careful if you try to do this. Boiling water is, well, boiling hot! If it does not all totally evaporate, and the wind is in the wrong direction, you can get a serious burn! 2Under certain particular circumstances and conditions, hot water can sometimes freeze a little quicker than cold. This is called the Mpemba Effect. However, the magnitude of this difference, if conditions exist, is orders of magnitude different to the fraction of a second effect of throwing out a bucket of water. The hot water is not freezing, it is evaporating! When you throw a cup of hot water into the air, the water is turned into thousands and thousands of tiny droplets (aided even more by the fact that hot water has a lower viscosity than cold water). These tiny droplets have a massive amount of surface area. Already at a high temperature, these droplets very quickly evaporate and turn into steam (water vapor) before they reach the ground. This vapor condenses, and it is this condensation that makes the pretty white clouds we see (like condensation trails behind aircraft). This condensation can freeze, in the cold air, to form little ice crystals. (For a slightly longer explanation about evaporation and the dynamic equilibrium of water vapor and the dew point, see the relevant section of this article about How much does a cloud weigh? The hot water is evaporting not freezing. Paradoxically, this a different state transition! … and it sure is pretty!